Monthly meeting at the Club House Located at Lake Indawarra. 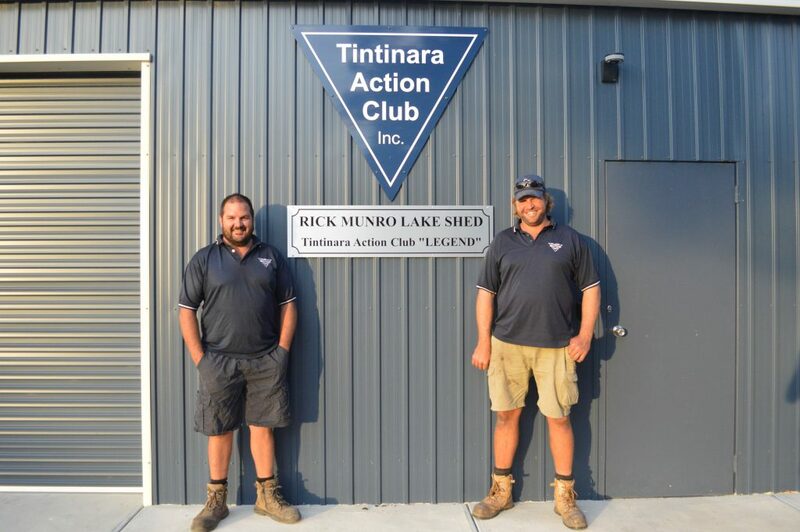 The Tintinara Action Club is a non profit club that raises money and conducts significant projects for our community and local organisations. The club combines a very enthusiastic social side with a “work hard for our community” attitude which encourages all members to interact. In May 1992 the final eleven members of the Tintinara Apex Club decided to hand back the club’s charter and the club closed. Those eleven members decided to present to the young men of our community an alternative club and drew up a constitution. Rick Munro was elected the Inaugural President and Paul Smith the Secretary. The nine other Inaugural members were Tony Zacker, Simon Brock, Keith Goodall, Jeff Gowling, Michael Neville, Chris Heading, Malcom Frost, Vince McKenzie and Richard Abel. Thus the Tintinara Action Club was born and all men between 18 and mid forties in age were invited to join. At the first meeting membership doubled to 22 and the new club decided to continue to run the “Tintinara Sand and Swamp Bike Ride”. The revamped ride was a great success and encouraged further membership growth with numbers in the 30’s being the norm since. The club combines a very enthusiastic social side with a “work hard for our community” attitude which encourages all members regardless of age or back ground to interact. Older members enjoy mentoring younger members to ensure the clubs ethics and beliefs are passed on. We believe in a “don’t beat around the bush atmosphere” that leads to powerful debates that often are the beginnings of major activities. 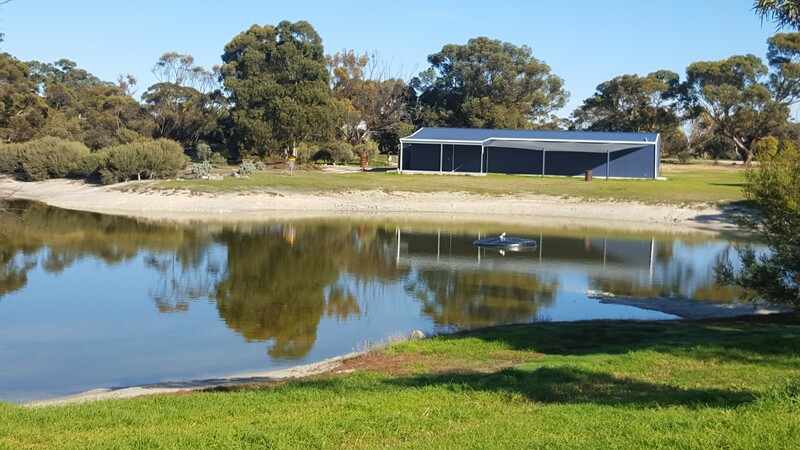 The annual Sand and Swamp Ride attracts around 130 riders from far and wide and is a major event with huge tasks such as backup, marshalling and lead riding ensures all members are involved. In recent years the club also conducted three “Tractor Pulls” which proved to be in the major event category requiring skills for track preparation, advertising and catering. At working bees we take on a variety of tasks including bar and BBQ duties at the “Sandblasters” B&S, grape picking at the Aldersey vineyard, painting and catering, to name a few. As we are a non profit club all money raised goes back into our community and most organisations have been recipients of our fund raising efforts. The club is always looking for new members and encourage those who meet the criteria and have an enormous sense of fun and mateship and don’t shy away from big challenges in life to come and have a look at us, you’ll be welcome!!! The Sand and Swamp goes back to 1985 when we held the first ride. Nearly three decades later the ride still attracts great interest and riders from far and wide enjoy the event. Our rides are generally held around August each year. Photos and reports of the event are on our facebook page, where you can also find details of future planned rides. Two aspects ensuring the continuation of the Sand & Swamp are great riding and the strong camaraderie as mates enjoy the challenge of the ride and the chance to spend time together. The members of the T.A.C enjoy hosting the event and it is a great fundraiser for our small community with the financial benefits felt by many organisations that receive donations from our club. However it is becoming increasingly difficult to have access to the areas we ride in, particularly road side reserves. In the great spirit of the ride and its history we implore all riders who have ever participated in our event to respect our tracks by not returning through the year to ride tracks with which they become familiar.